Tubemate, the best solution for YouTube users facing internet connection problems. YouTube is undoubtedly a one-stop entertainer for everyone and anytime until and unless there is no interruption in data. But the problem arrives when there is a situation you need to spend a lot of time without an internet connection. So, Tubemate rescues you from facing such situations by allowing you to download YouTube videos to your Android device when on internet connection and can watch them later when you are offline. There are many videos available for download on the internet, but every video available on YouTube is not found on the internet for download. Tubemate allows downloading YouTube videos to your Android phone. How to Download and Install Tubemate Apk for Android devices? Downloading and installing Tubemate apk for Android devices is not as simple as of other application you download from Play Store. Here is the sequence of steps that will guide you on how to download and install Tubemate apk to your device. Initially, you need to download the Tubemate apk from online onto your Android device. Now for installing it, you need to change some settings. Navigate to Settings Menu on your android device. Then click on the security tab in the settings menu. look up for Unknown sources option, you can find a toggle button on the right next. Toggle the button to on, which means you are allowing the apps that are downloaded other than from Play Store to be installed on the android device. Now go to the location where the downloaded apk is stored on your device. Usually, the downloaded apk will be in the downloads folder by default. Click on the apk file to run the setup. Agree the permission prompted by the app and then install the apk file. 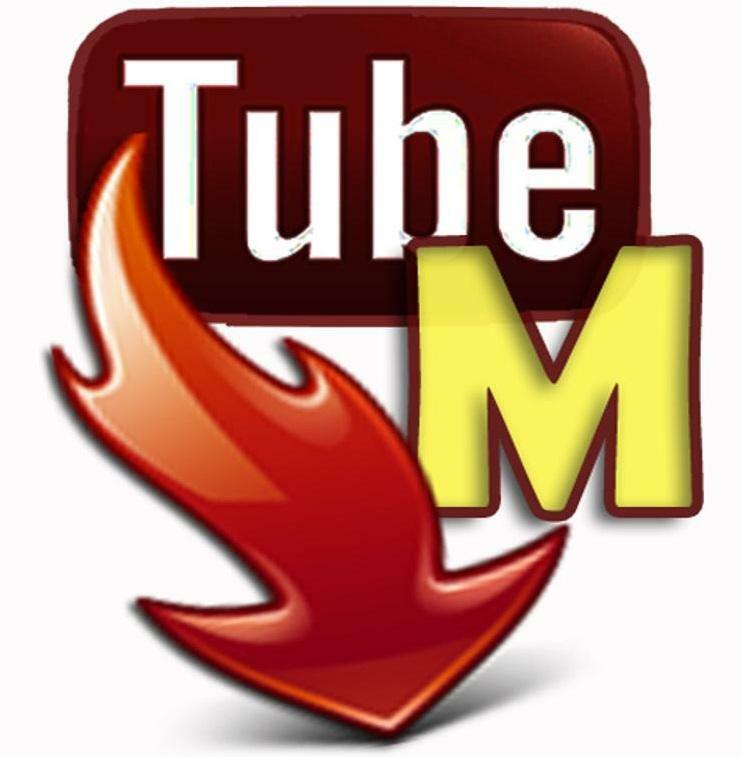 Now the Tubemate is ready for you to download YouTube videos to your Android device. How to Use Tubemate Apk for Android Devices? Once the Tubemate app is downloaded and installed on your device, open the application. It looks the same as the YouTube application. Search for any video you wanted to watch. And then click on watch, if you want to watch it online. click on download, if you want to watch offline. While downloading or watching, you can select the resolution of the video you want to watch it in. Select the location you wanted to store the downloaded videos. Also, select the format of the files you wanted to download it in. For downloading and to install the Tubemate 3.2 (1908) on your device, there are some requirements. To download Tubemate apk, you need 8.4MB space on your device, as of the file size of Tubemate apk. This version of Tubemate apk, 3.2 (1908) is supported only in the Android version 4.0.3 or higher versions. Generally, in any Android phone, we can install any app only from the Play Store. This is because the attribute named the unknown source in security settings is kept off by default. This is done to allow only secured apk’s which in turn protects the android device from unknown sources. But locally if you want to install any app through apk, you need to allow the downloads from an unknown source by toggling the unknown source option in the security tab. This allows you to run and install an app from outside the Play Store. Tubemate apk features very impressive functionalities. They include downloading videos and audios from YouTube. You can download YouTube videos using the Tubemate app. The app downloads the videos to the local device. By default, the videos are saved to the videos folder. MP4 is the default file format chosen by the application. If you want you can change the file format to any other video file format like, .vlc or some other format. With the Tubemate app not only videos can be downloaded, but, you can also read only the audio of the video file. These audio files are saved to default audio files folder, which can be changed to any other location of your interest. The default saving file format of audio files is MP3 and can be changed to other formats also. The downloaded data is saved in the Internal storage of the Android device. The data can also be saved to External storage by changing the location of the downloading videos and audios. This application has a similar interface as of the YouTube application. SO, you can browse the videos as you do in YouTube and can download easily onto your device. The app provides multiple connections for you to enable faster download of videos. The app allows you to pause your download and resume it on accord of your convenience. Tubemate is the only application available for the Android Operating system which can download videos from YouTube to your device. In YouTube, you can watch a video with any resolution as of your selection and the availability of the videos higher resolution. In the same way, Tubemate 3.2 (1908) allows you to opt for the video resolution you wanted the video to be downloaded in. Tubemate supports 240p, 360p and even high-definition videos with 1080p resolution. The HD videos are supported with a combination of MP3 Media Converter. Tubemate 3.2 (1908) is well known for its features of downloading YouTube videos, but it also supports downloading videos from other places like Dailymotion and Vimeo. The application provides a separate section where you can keep the record of all the videos that are downloaded and downloading. Almost all videos can be downloaded using this app, but some videos cannot be downloaded. The ability to download the high definition videos adds weight to the application, but the accomplishment of this task requires an MP3 media converter. The unstable nature of the app is a big disadvantage of this application. This was concluded from the users’ complaints about application crashes very often. The application requires the best network connection when you download the video. Preferably a strong Wi-Fi network or 4G network. Is the Tubemate application safer to download? In terms of Malware distribution as the safety issue, the Tubemate 3.2 (1908) application is safe. As of now, there is no such issue reported by any of its users related to malware distribution or any kind of security threat for the user’s privacy. Though the installation of the Tubemate application is from an external source, there doesn’t involve any unwanted app downloads or redirections. The question of application safety arises from its source not being the official site, Google Play Store. But there are some reasons why Google doesn’t have such apps in its Play store, which in turn lead to applications like Tubemate. Tubemate app allows the users to download videos from YouTube and some other streaming sites like Dailymotion. Google as per its terms and conditions never allows any application to download videos from streaming sites. As per intellectual property rights of the application, this application or application like this violates the terms. Hence, there is no application like Tubemate available in the Google Play Store which is the official place for any Android app to be available. Tubemate is legal to download on our Android device. Once downloaded the usage again should be considered whether legal or not. The tubemate application itself gives you disclaimer warning its users about its usage. The warning says, ‘The application is developed for the personal and private purpose only’. Which indirectly means that the videos downloaded through Tubemate can be watched offline only in private, but cannot be redistributed to others by means of any channel. The Tubemate downloaded videos cannot be used for commercial profits. Using these videos for commercial transactions is considered to be illegal. Reasons for Tubemate not working? Firstly the issue with Tubemate starts with its installation itself. Once the apk is downloaded on your Android device, you need to install it. but when you try to run the apk directly, it doesn’t install and prompts you with a message showing the apk is from the unknown source. This means that you should allow the installations from unknown sources first. This can be done in the security section of the settings menu. Try running the app after this change, it works fine. The application allows the users to watch the videos from YouTube and other streaming portals with the same interface as YouTube. The interface provides options to watch and for downloading. If in case any video cannot be downloaded from Youtube, the reason may not eb the fault with Tubemate downloader. The reason for video not downloading is that YouTube did not allow the video could be downloaded. Sometimes the Tubemate application crashes suddenly. This can be fixed simply by downloading and installing the latest version of Tubemate and reload the main interface of the application. The app gives the random notifications of the latest version of it. even if the latest version is installed. This problem can be solved by removing the older versions of the app installed on the Android device. Another issue is, the app cannot play some recently downloaded videos due to the encoding used by YouTube for those videos. The format may not be played by Tubemate, and the user can fix the issue by playing the video in low resolution or use any other media player for playing the video. From the complete review of the Tubemate apk 3.2 (1908), we can conclude that this is the best option for downloading YouTube videos to the local Android device.